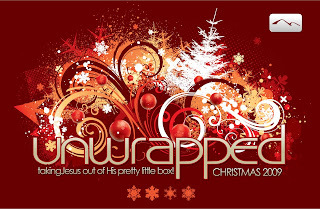 Super-excited about the start of our new Christmas mini-series this weekend - UNWRAPPED. The series is all about seeing Jesus as He really is, not as he is misunderstood to be in our culture..and sometimes in our own hearts and brains as well. As we approach Christmas and our celebration of His coming, there's no better way to get spiritually prepared than to take deep into our hearts and minds who He really is. So, for the next three weeks we are going to be diving into the three main descriptions of Jesus in the Bible - Jesus as Son, Servant, and Missionary. We start with Son this week and I gotta tell you my prep time has rocked my world, even though I have taught this topic many, many, many times before. In preparing for this message, I had a new insight into a specific way the Holy Spirit works in our lives that I had never seen before. But is all over the pages of the Bible - jumping out at me this week, as if God is saying "I want you to see this so you can teach it!". This new realization has already changed my prayer life in at least one significant way. I'll tell you all about it on Sunday as we start UNWRAPPED!